The 17-year-old was one of four high school students killed in a single-car crash. 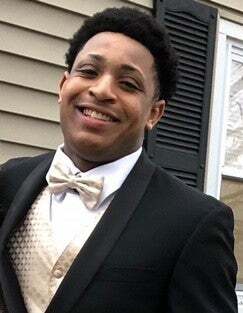 Funeral services will be held Friday for one of the Stoughton High School students killed in a single-car crash in East Bridgewater last weekend. David Bell, 17, of Stoughton died on Saturday after the car he was in with four classmates hit a tree. The funeral for the teen, who has been remembered for his talents on the football field and his outgoing personality, is the first to be held for the four classmates. “He leaves a host of extended family, friends and his Stoughton High School family,” his loved ones wrote in his obituary. David Masterson Bell, age 17 of Stoughton, passed away May 19, 2018. Beloved son of David K. & Solange M. Bell of Stoughton. Loving brother of Sierra Bell of Stoughton, Alta and Chole Bell of FL. Grandson of Carlena & Eunice Bell of FL and the late Elsie Heard of CT. He is also survived by his special aunts, Maxine & Ursula Heard of MA and Lorraine Williams of FL, uncles, David Heard of CT, Darryl, Daniel and Larry Bell, all of FL and the late Michael Bell of FL. He leaves a host of extended family, friends and his Stoughton High School family.